Elizabeth “Betty” Rex Everhart, 96, of 1267 Horning Rd., Denver, PA died at Maple Farm, Akron, Tuesday, March 19, 2019. She was born September 13, 1922 in Coatesville, PA to the late Albert West Rex and Lily Mitchell Rex. She was the devoted wife of Paul H. Everhart, who passed away on March 2, 2007. She was also preceded in death by sisters Marjorie Manning and Beatrice Kuehner. She is survived by sister Martha Baldwin. of Tucson, AZ, her four sons; Larry Everhart of Denver, David Everhart of Leola, John Everhart of Downingtown and Steve Everhart of Nanticoke. She is also survived by her five grandchildren; David Everhart of Lancaster, Brian Everhart of Mars, Becky Peach of Pottstown, Christy Palmerio of Chester Springs and Jeff Everhart of Guthriesville. as well as her four great grandchildren; Alexa and Jackson Everhart of Mars, Ellie Palmerio of Chester Springs and Ginny Peach of Pottstown. Mrs. Everhart was a 1940 graduate of Lampeter High School where she was an accomplished clarinetist. Betty received her BS in Education from Albright College. Mrs. Everhart was a retired Home Economics teacher. She taught at Delaware County Christian School, Victory High School in Palmer, AK and Conestoga Christian School. Mrs. Everhart was a member of Westminster Presbyterian Church where she led women’s Bible studies and sang in the church choir for 20 years. 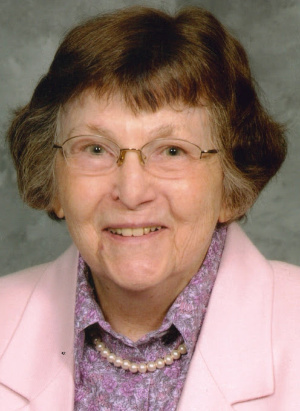 A memorial service for Betty Everhart will be held at 11:00 a.m. on Saturday March 30, 2019 at Westminster Presbyterian Church, 2151 Oregon Pike, Lancaster, PA with the Rev. Dr. Michael A. Rogers and Rev. Dr. Jonathan Light officiating. Friends and family will be received from 10:00 a.m. until the time of service. In lieu of flowers, contributions in Mrs. Everhart’s memory may be made to the Music Department of Westminster Presbyterian Church, 2151 Oregon Pike, Lancaster, PA 17601 or to Intervarsity Christian Fellowship PO Box 7895, Madison Wisconsin 53707 with Becky Everhart Peach in the memo line. Larry, John David and Steve, we send our condolences. Both your dad and mom were dear to Eric and me, but my relationship precedes even that of my relationship to Eric, during the time we served together in Alaska. We wish we could be at the celebration of your mom’s life. We will be with you in thought and with our love and prayers. So sorry Mr. Larry and others!!! My condolences go out to you!! !